You've worked hard to get to this point in your musical career. Now you're ready to take your message to the masses. Your performance, and your audience, deserves a loudspeaker system that delivers the power and clarity of your vision - it deserves EUROLIVE Professional. The B1220 PRO loudspeaker is engineered to handle the demands of professional gigs, from small clubs to large stages. 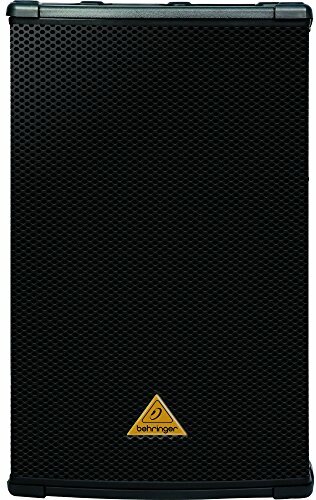 Capable of handling up to 1,200 Watts, the B1220 PRO's ingenious design makes it a great-sounding PA loudspeaker for front-of-house, as well as floor monitor applications. In order to produce tight, deep bass, a loudspeaker has to move lots of air. EUROLIVE Professional Series loudspeakers accomplish this by using powerful, long-excursion LF (Low Frequency) drivers that are handmade in our own factory. While some companies are content to use "off-the-shelf" drivers, we custom-design each LF driver to perfectly match its enclosure and application. The B1220 PRO features an extremely powerful 12" long-excursion LF driver in a tuned enclosure, providing rich, tight bass all the way down to 55 Hz. That's bass that you can feel, as well as hear. High-frequency (HF) content can easily make or break your performance. Too much and the sound becomes brittle and obnoxious, too little and it sounds muddy and poorly defined. The EUROLIVE PRO Series' 1.75" titanium-diaphragm compression driver provides natural-sounding high end, with an ultra-wide 100° x 50° sound dispersion pattern. The horn can even be rotated (50° x 100°), transforming the B1220 PRO into an outstanding floor monitor wedge. B1220 PRO's unique enclosure profile allows multiple positioning options: 10° or 35° cluster and stacking mode, stand mounting with a built-in 35-mm (1.375") pole socket or positioning as a floor monitor wedge. The B1220 PRO is capable of extremely high sound pressure levels (95 dB full space 1 W @ 1 m) and provides a 55 Hz to 18 kHz frequency range. Built-in overload-protection circuitry ensures optimal HF driver protection. We could talk on and on about the EUROLIVE Professional Series loudspeakers, but hearing is believing. Stop by your BEHRINGER dealer's showroom today and put the B1220 PRO to the test. We think you'll be hard pressed to find a better sounding loudspeaker for anywhere near this price!